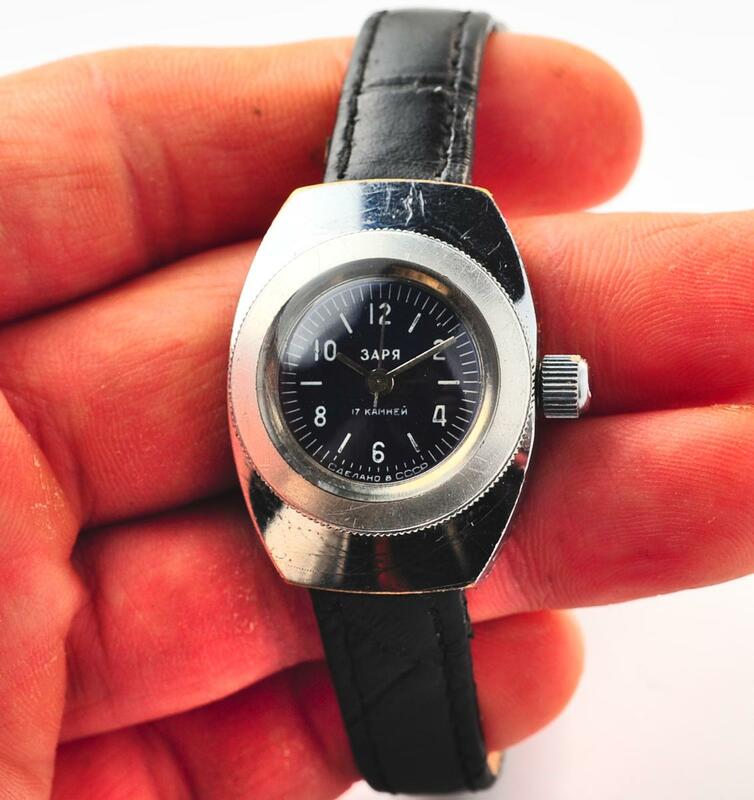 Soviet mechanical ZARYA wrist watch, 17 jewels. 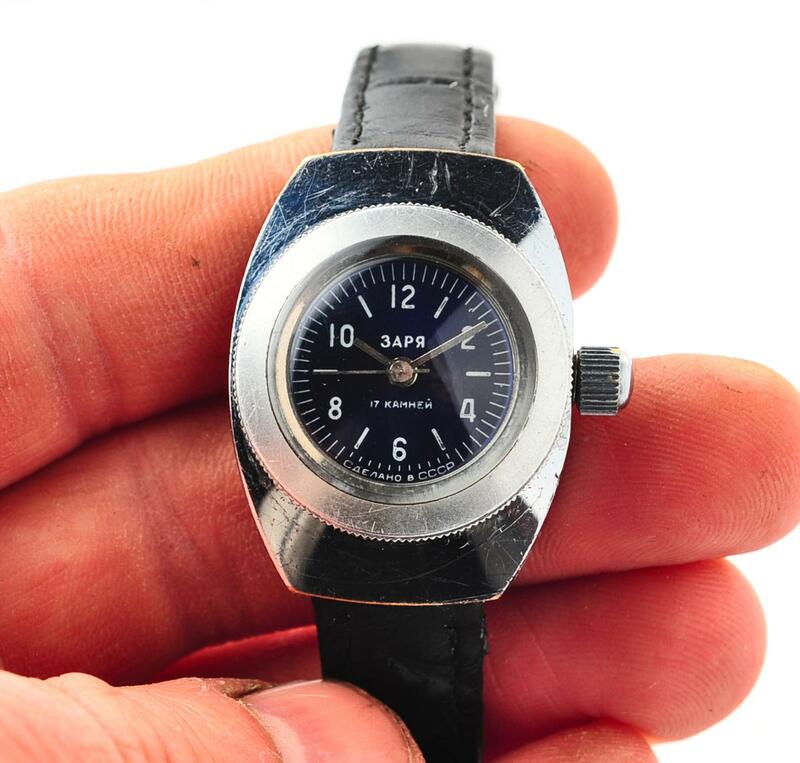 Water resistant, shockproof watch for a lady. 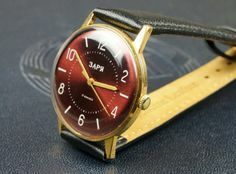 This is a classic stylish mechanical wristwatch ZARIA (“Dawn” in russian). 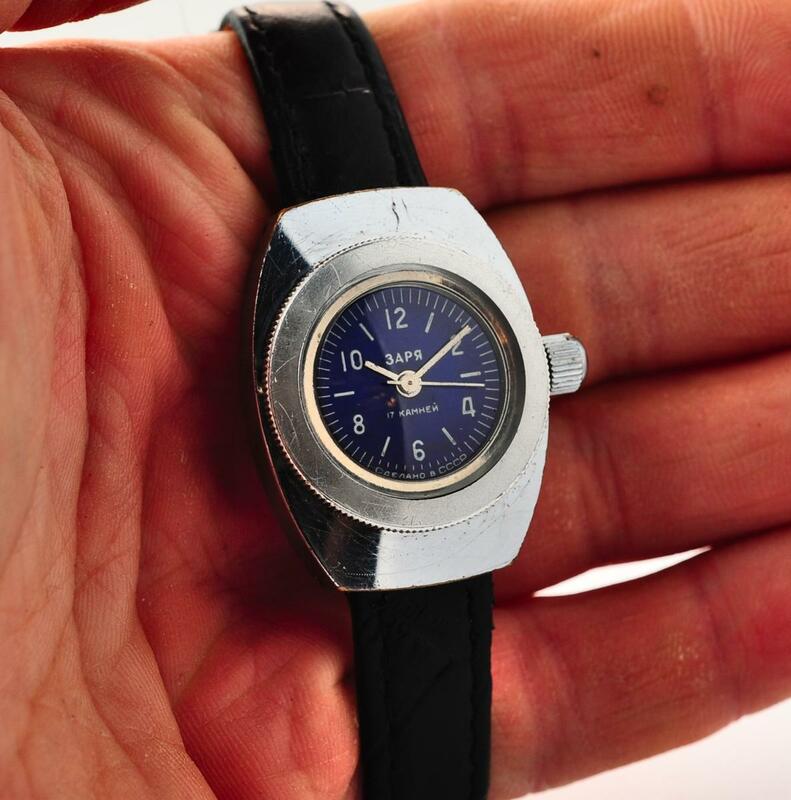 Lovely vintage watch made by Заря (Pensa Watch Factory), USSR. Original soviet Zaria watch has mechanical lever movement and manual winding. 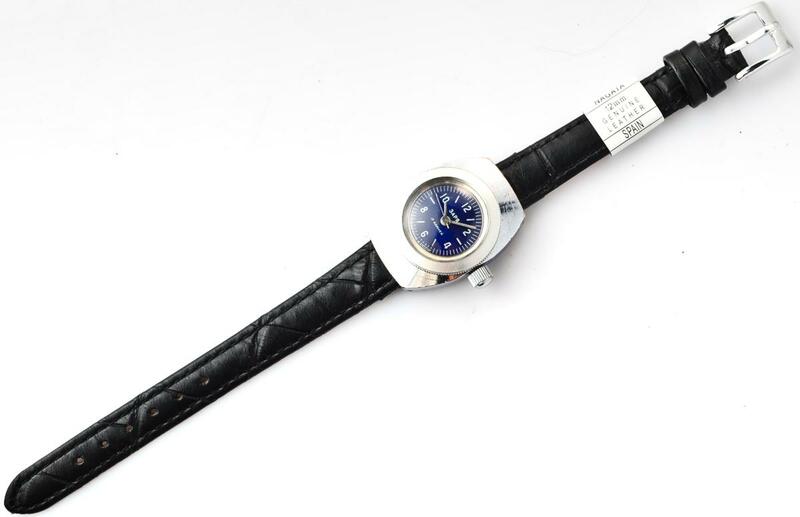 Comes with NAGATA black leather strap for free. 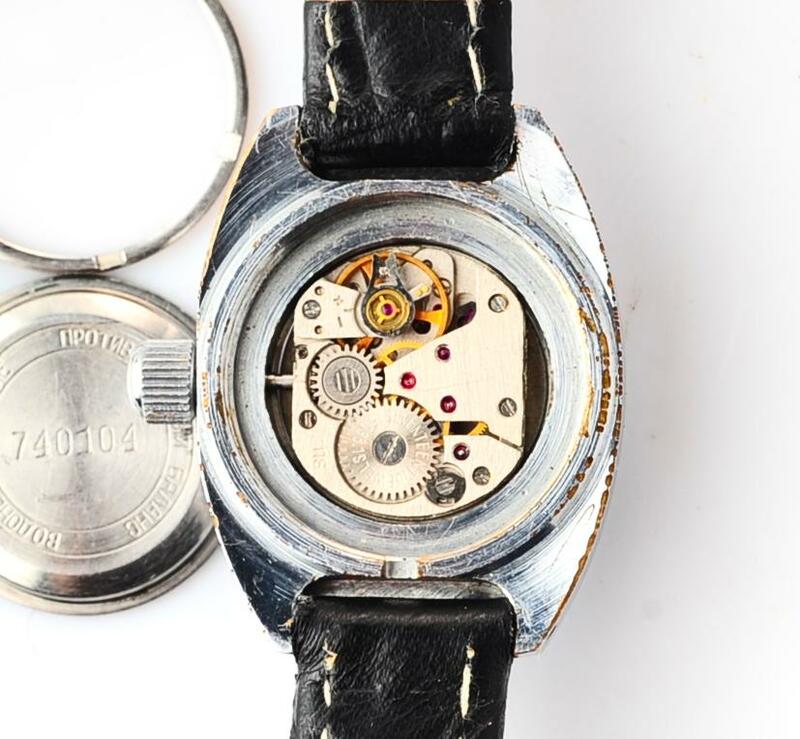 In early 1930s there were already two functioning watch factories. In 1935 decision was made to build another factory to produce women’s watches. 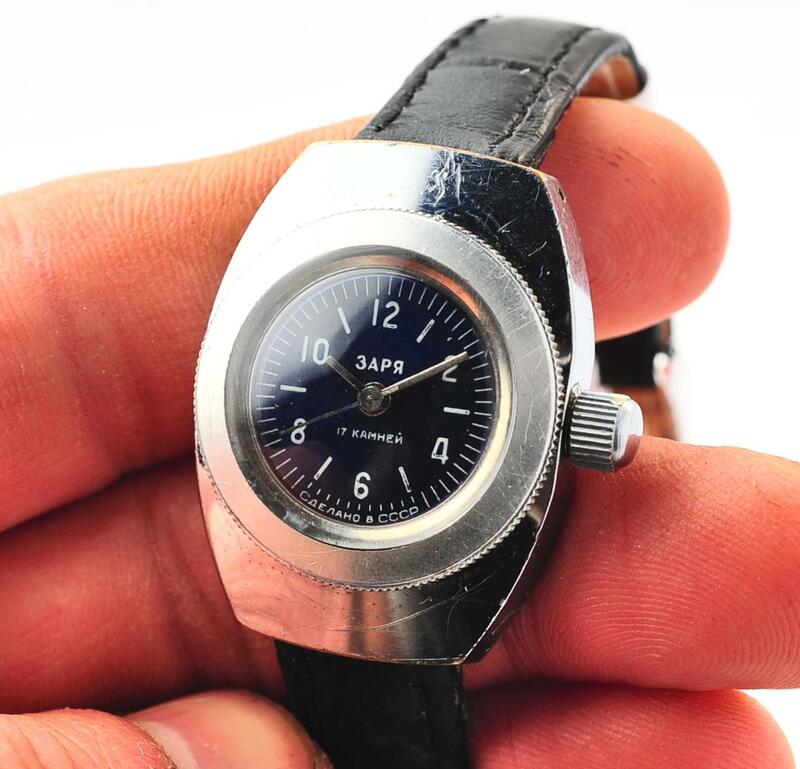 After long negotiations french equipment LIP was purchased and the construction of factory begins in Penza(on Penza bicycle factory). In 1938 the first watches were produced. 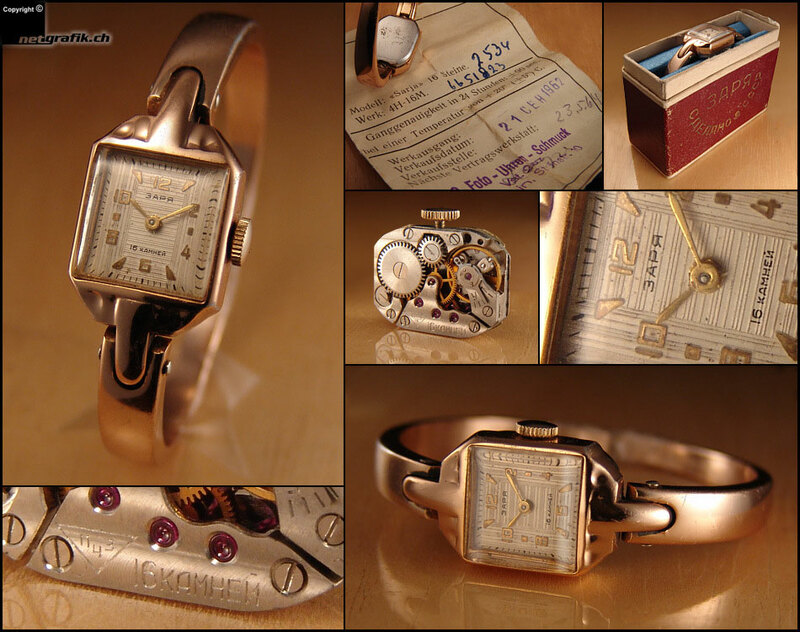 The factory produced mainly womens watches of small caliber movements. 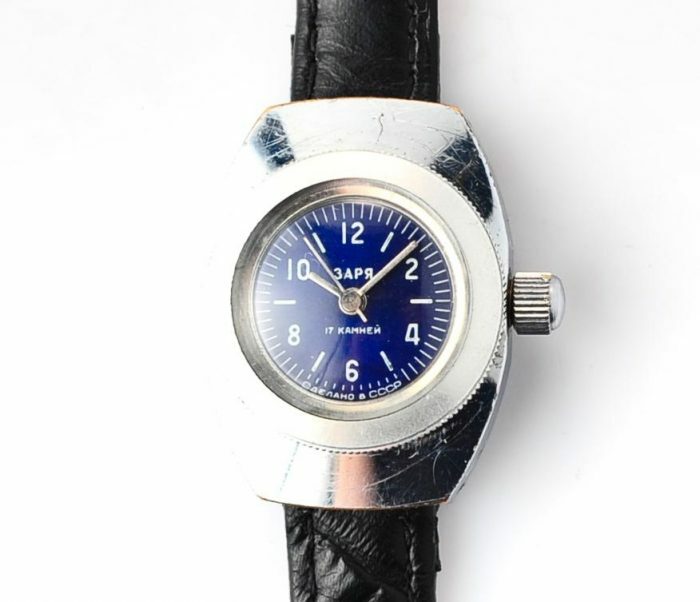 However, some men’s watches were also produced. 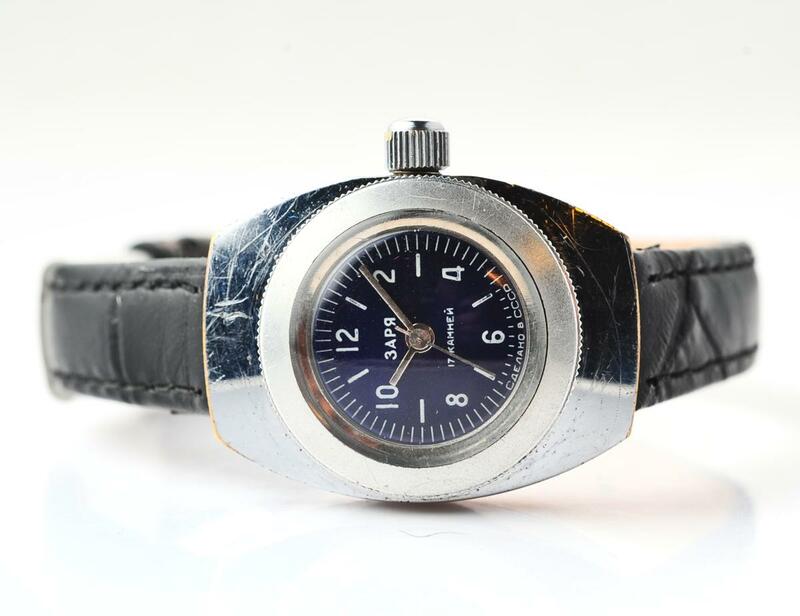 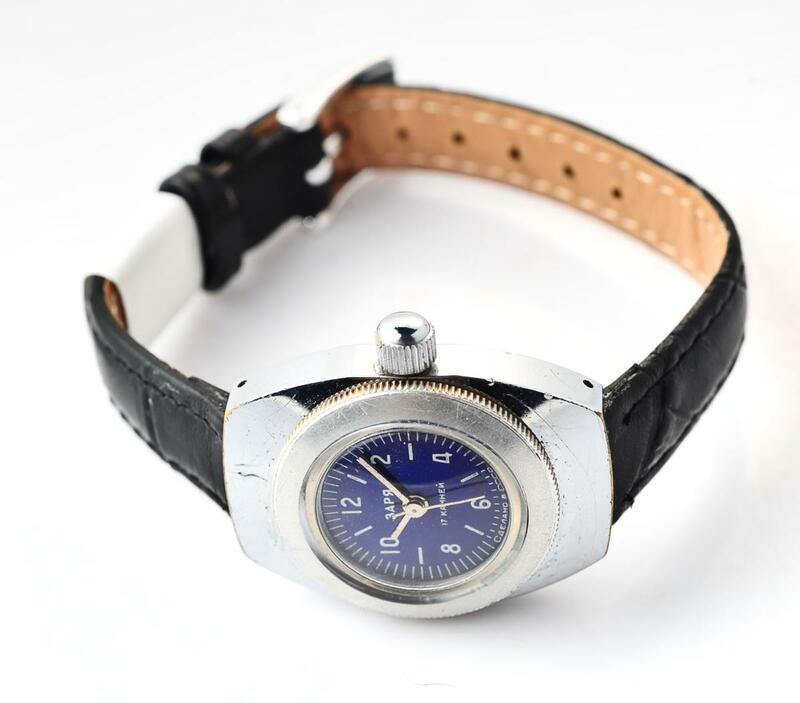 All watches were branded “Zarya” only after 1965. 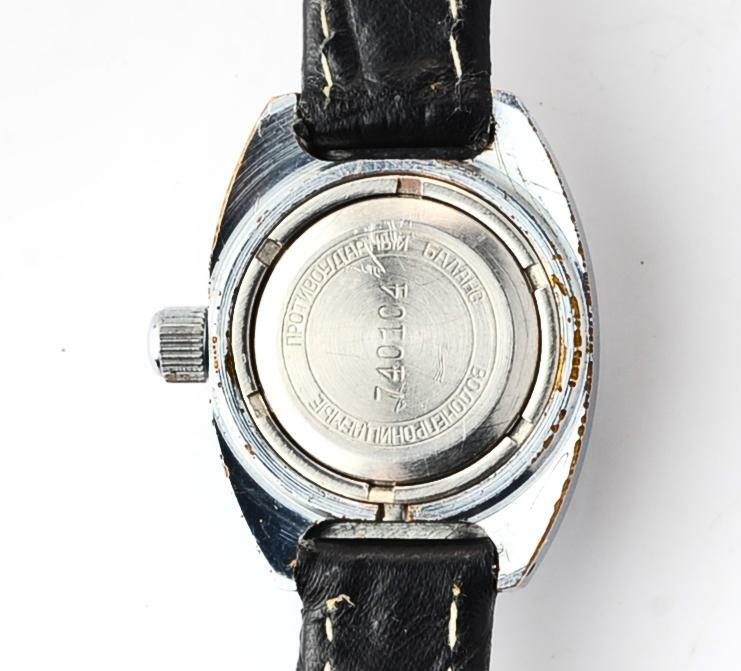 Other watches produced on the factory: «ЗИФ», «Звезда», «Победа», «Аврора», «Комета», «Мечта», «Весна», «Рассвет».